The Rouge Global Challenge for the mobile game Sonic Dash mentioned earlier is now live! As usual, this global challenge consists of 4 stages, where players all around the world have to dash to unlock our jewel huntress. This time, instead of picking up presents or dashing a certain amount of metres, you'll just have to aim for a highscore which will be converted to points. Recommended is the usage of boosters, which make it a lot easier to reach the goal. The challenge will be available till the 2nd of March, so good luck and keep dashing! Tomy Company has published on his Facebook page pictures of some of the first series of Sonic Boom figures , shown during the Toy Fair 2014 in New York . A small description mentioned that it will be one of many new toys that we can expect in the future. Tomy became a new SEGA's partner in the production of Sonic toys. Cooperation with the previous manufacturer Jazwares has ,apparently, ended. SASRT: Ryo has joined the race! Yes, that is correct! Earlier he was mentioned as playable character for the new release on the android , but now he is officially on the steam version . Ladies and gentlemen, Ryo Hazuki! However, instead of an update, he comes as a downloadable content, meaning you still have to pay to play as him. So far, Ryo has only been confirmed for the Android version and the Steam version, with still no news concerning the console versions. It seems like Sumo and Sega are really forgetting about the console versions, despite the xbox 360 having an award. Probably one of the strangest trailers you've seen in a long time (at least the strangest of this year so far! 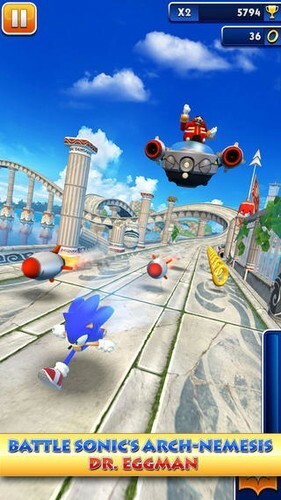 ), Sonic & All-stars Racing Transformed has now been released for Android Systems. For people with good eyes, they might also discover something else. When looking correctly, you'll see Ryu Hazuki his racing character + icon fly through the screen every now and then. 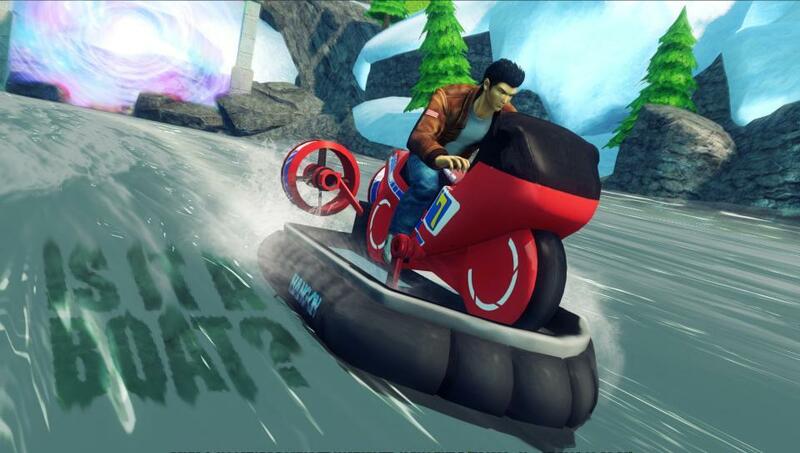 Therefore, we can officially say that Ryu has made it's way to Sonic & All-stars Racing Transformed. If he will be Android exclusive is unknown. However, several leads have gave me the conclusion that Ryu will at least make it to one console. Yogcast, the populair British Youtube Gaming Channel, were having a livestream some weeks ago for charity. During their livestream, they also played Sonic & All-stars Racing Transformed on Steam. There, Ryu was also seen as a playable character. If Ryu will make it to other consoles is yet to be confirmed, but stay with us and we'll keep you up to news! Due to Christmas and other festivities/circumstances, the news is later than usual. But I'm glad that I can still provide you with 2 news pieces, with one being teased today. With Nintendo Direct, a huge lot of new stuff and information got announced. But probably none of the updates have been as suprising as this news. Sonic Lost World first had a crossover stage with NiGHTS, and now Yoshi's Island also joins the game! In this stage, you run around the stage to save all the Yoshi's from evil. Fans from both the Mario/Yoshi and Sonic franchises will see some similarities in the stage. Mainly based on Super Mario World 2: Yoshi's Island, you'll see returning enemies including goomba's and shy guys, but also stage hazards such as pipes and jumping platforms. Sonic Lost World: Yoshi's Island DLC is now avaiable for free on the Eshop for Sonic Lost World owners!! Sonic the Hedgehog 2 now on Android! 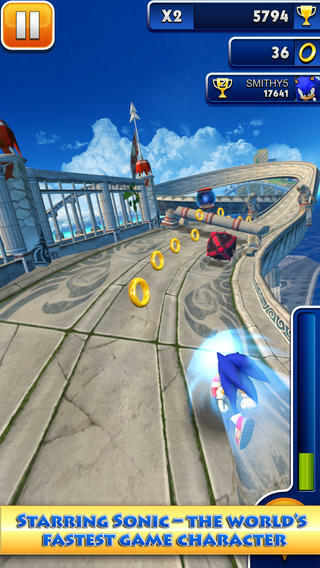 Following the release of Sonic Dash, the second game of the blue blur now also makes it's entrance on Android Systems. As with Sonic Dash, this game has also been on the Apple systems long before it got released on Android, and thus people will already recognize several changes such as Tails and Knuckles playable within the game. But there is something new that will certainly interest you. Sonic the Hedgehog 2 is infamous for it's hidden stages such as Wood Zone, Genocide city and more. But further more, the most known might be Hidden Palace Zone. And thus, Sega came up with the idea to release the zone with the new game. Now that's something we are looking forward to right? And for the owners of an Apple system and the game, do not worry. This new stage will be included with the game through updates.